Often we see the unique logos of a company, organization or association. But actually how important it is logo for a business or non business organization so that it should have a logo? Logo is a form of image or form letters with a certain sense, and represents a sense of company, products, regions, associations,, state, and other matters that are considered needed something short and easy to remember instead of a name or brand actually. Communication experts reveal that people tend to remember images more powerful than text or writing. When people see pictures of attractive, they will store it in memory longer than writing. A good logo design uses colors that can attract the attention of your targeted consumers. Neither the images, the images displayed can represent your business. Sometimes this figure can rise from the emotional value of such fundamental values ​​of family, affection, parents, patriotism, religious concerns, social and so on. The aim of an attractive logo design is to place a message into the minds of consumers expected the consumer will be easier to remember back to when a product or service offered to him. Well this is the role of the logo as a 'representative' of a product, company or organization tersa important. 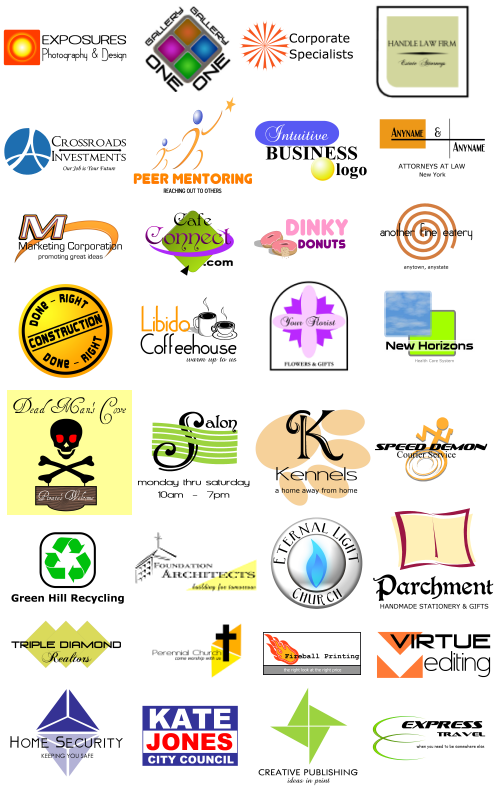 Logo is not just an interesting image or form beautiful letters, but also represents your overall business. A good logo design seeks to put a visual message, not only is the message of the business they represent, but also history and popular culture at that time.